When the commuters start to pull their scarves a bit closer to their noses, bobbled beanies hastily ripped from bags each morning make a reappearance and musty puffer jackets are brought back into circulation from 'the other wardrobe', it's a sign of food festivities in the capital and this year is no exception — say hello again to The Wellington Food Show. 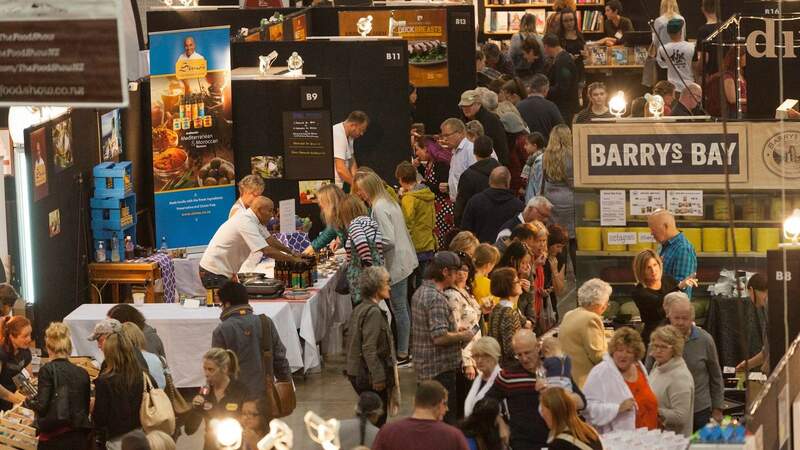 The weekend of 24-26 May will be chock-a-block with food lovers, taste testers and lip smackers, all headed for Westpac Stadium. There, for $20 each day, a foodie will get to dine out on authentic handmade chorizo from Paella Pan in Street Food Alley, or learn to use raw ingredients in a cooking demonstration from Ceres Organic Healthy Hub Kitchen. At the forefront of every devoted and hungry Food Show attendee's mind will be the celebrity chef. The show has previously been graced by such guests as Nadia Lim, Chelsea Winter and Simon Gault. 2019 will see the Food Show host Annabel Langbein for two free morning seminars, where all those with a view can learn to cook with seasonal produce. A boring winter's day this definitely won't be, with over two hundred stalls and cooking events throughout the day to maximise that $20 ticket. And all the stalls are different too, with gluten-free options at Venerdi Breads, vegan goodness at stall 054, and protein options galore for the gym-junkies in the room. The cheese options are also not lacking. So if you're feeling like you could do with a day-trip to your local stadium one weekend in May, maybe call on a buddy and make it a date — there's always a chance you'll meet Annabel Langbein.